I was like a kid on Christmas morning pawing through my newly reunited suitcase this morning choosing fresh clothes. After living in the same jeans and t-shirt for the past 48+ hours, I was almost giddy to feel clean once again. But that was this morning and it is now Sunday night in Amsterdam and I’m gathering my thoughts, reflecting upon our day. 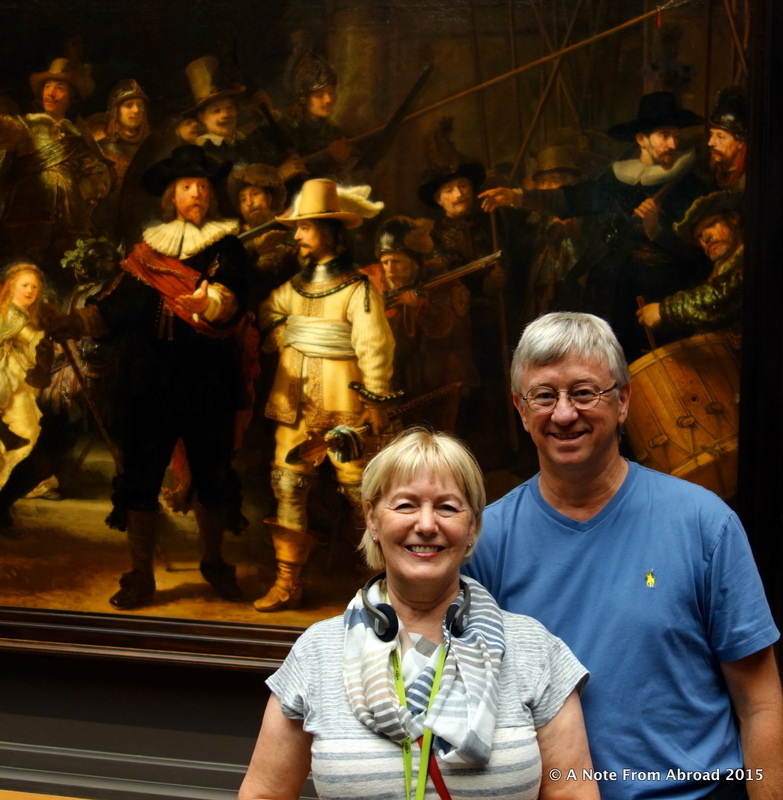 The short version is that we visited two world-class museums today, the Van Gogh Museum and Rijksmuseum. Getting there: I absolutely love the public tram system. Lucky for us, the Dam Square tram stopped literally right in front of our hotel. Our very helpful front desk staff gave us a quick briefing on which number we needed and price options. In our case we could take either the #2 or #5 tram which would take us directly to the Museum Quarter. 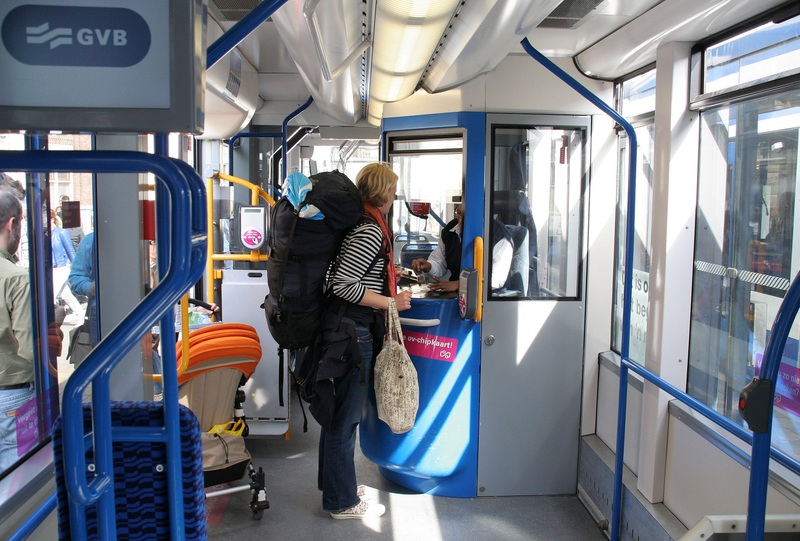 You board the tram getting on in the (usually) next to last car from the front where a payment booth is located. You can choose to purchase a one hour or 24 hour ticket. A GVB 1 hour ticket costs €2.90; a 24 hour GVB ticket costs €7.50. Other longer options are available. Exact change is not needed. Click HERE for more info about their public transportation including rates and map. It had been recommended that we do the Van Gogh Museum first as it is smaller and fewer people are let in at any one time. The lines and waiting time can get long. With that in mind, we arrived shortly after they opened and breezed right in. We rented the audio headsets and chose the highlights option. 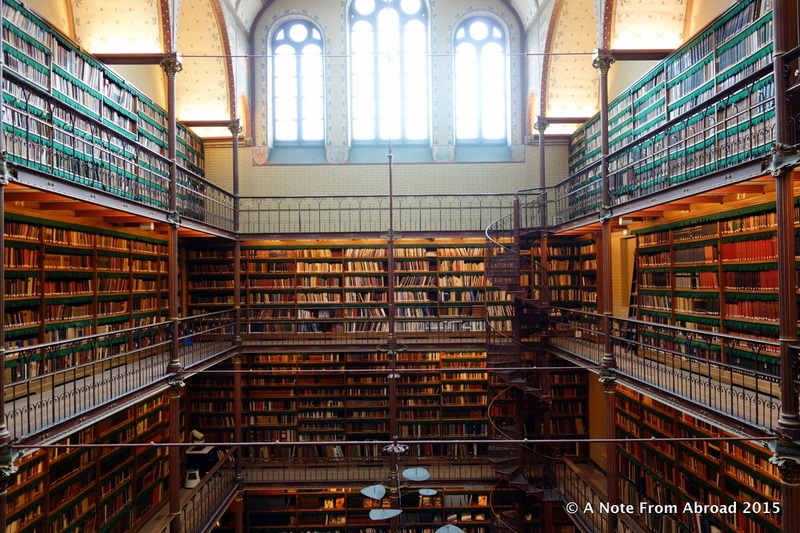 Our time in Amsterdam was limited so we planned to do two museums in one day. Perhaps a little too much and if we had more days I think doing one major museum in a day would be better. One might argue that Vincent Van Gogh was a mixture of artistic genius and an unstable lost soul seeking to create a new vision in the art community. A troubled personality had him in and out of mental institutions over several years. His art was often his salvation. Using bold strokes, vibrant colors and forging a brand new, innovative style, his work was largely dismissed while he was still living. After a dispute with friend and fellow artist, Paul Gauguin, Vincent famously cut off part of his own ear. 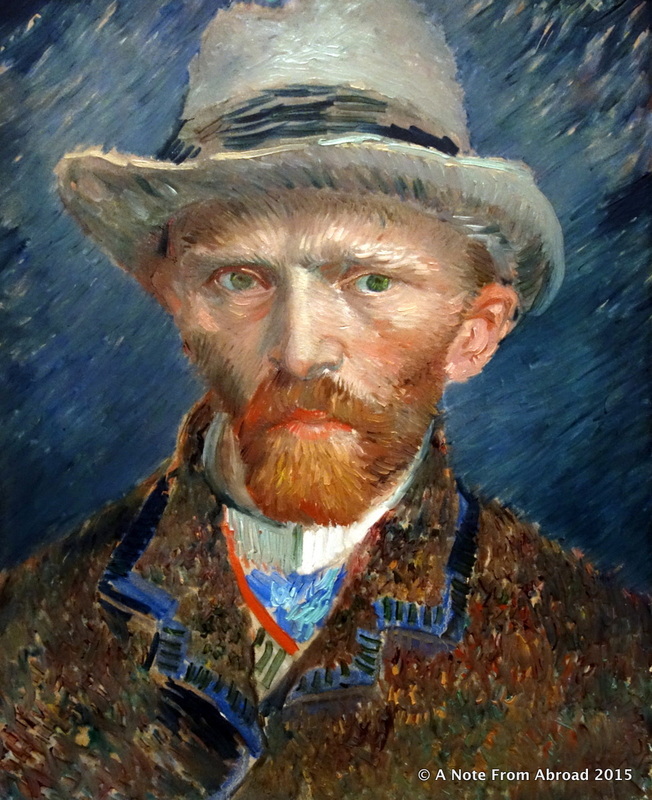 It has been 125 years this year since Van Gogh shot himself in the chest at the young age of 37. 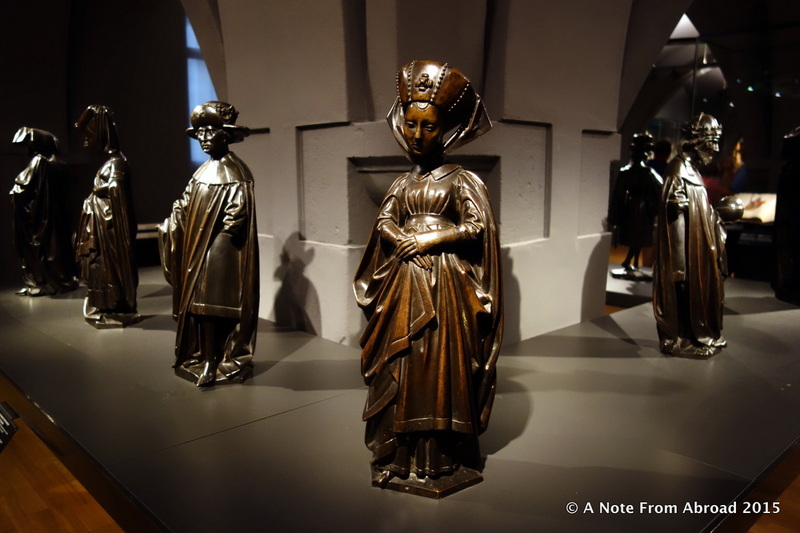 The Van Gogh Museum was fabulous – even if they did not allow photography inside. As a work-around, I took a few shots of replicas of his work in the gift shop so I could give at least some idea of my favorites. Also on display were some of his drawings and letters to his family, the bulk to his brother, Theo. 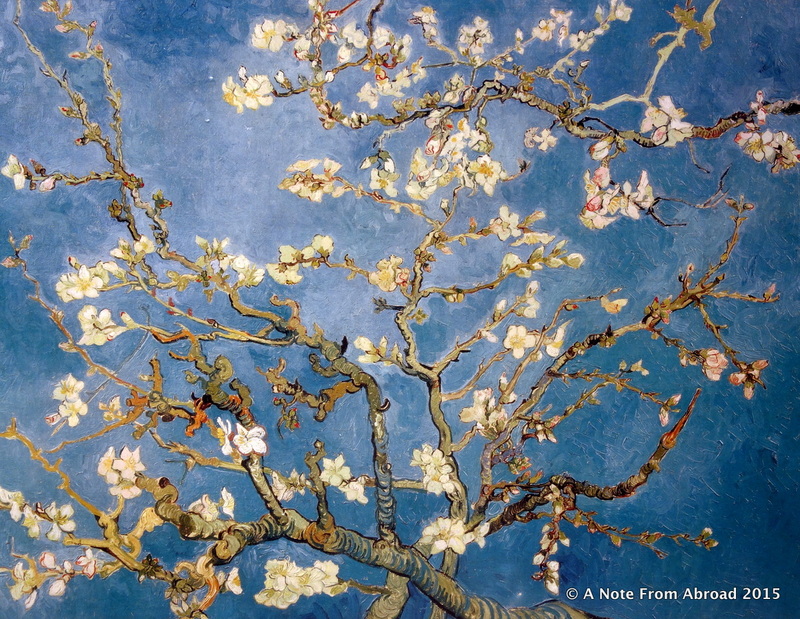 The piece I found most interesting and which I had not known the story behind was Almond Blossom. 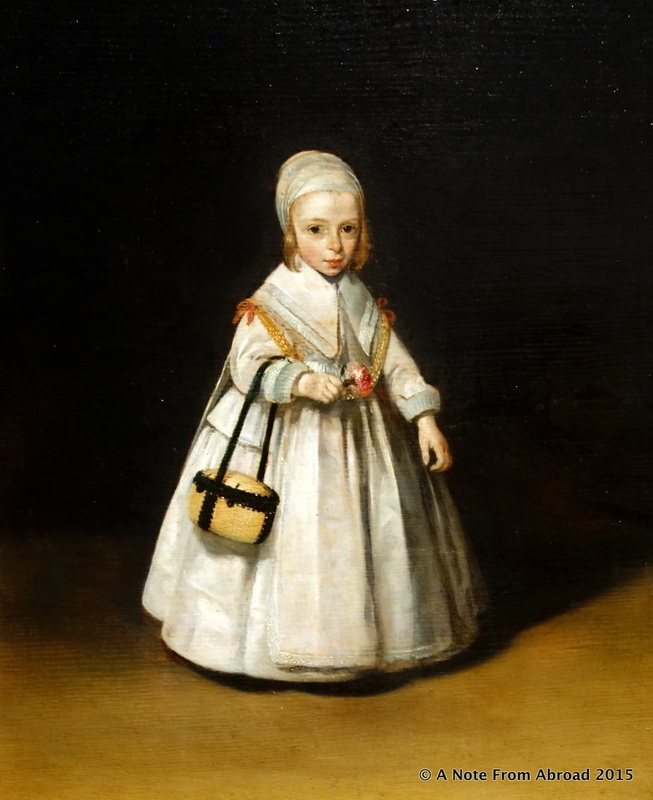 Painted as a gift for his beloved brother Theo and his wife Jo, and presented to them on the birth of their son, Vincent II. His nephew eventually went on to be the founder and driving force behind the creation of the Van Gogh collection and Museum. 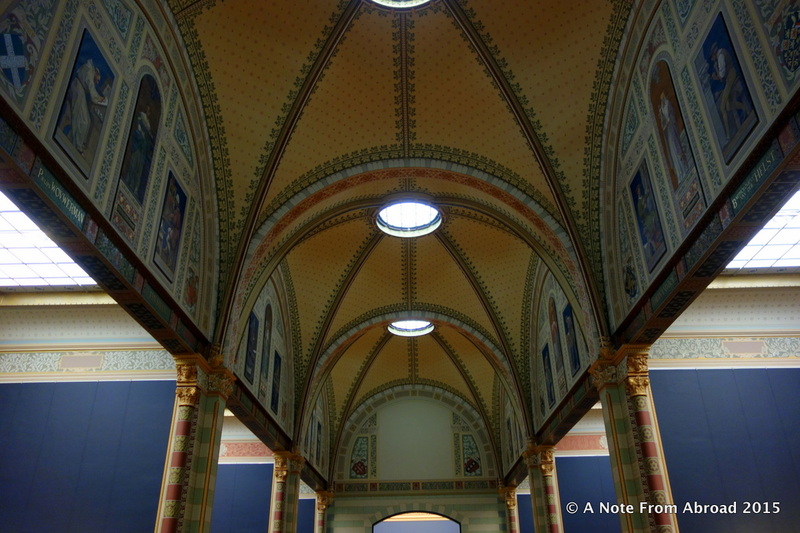 The Rijksmuseum has been on my radar for many years. My one and only visit to Amsterdam was in the early 1980’s. We were just here for a few short hours and my lone memory was taking a canal cruise. We had very limited time to explore afterwards. I don’t even remember how I spent that time. I do recall that a few people in the group made it to see this world-famous museum and raved about it. I have wanted to see it ever since and can now finally cross it off of the bucket list. The price of admission is € 17.50 per person ($27 US at today’s exchange rate). We prepurchased our tickets at our hotel which allowed us to have a fast track entrance. After hearing some horror stories about long lines, it was refreshing to walk right in. The architecture of the building is part of the charm and beauty, starting from the outside. But it is the inside that wows. My day was improving as photography was allowed here. 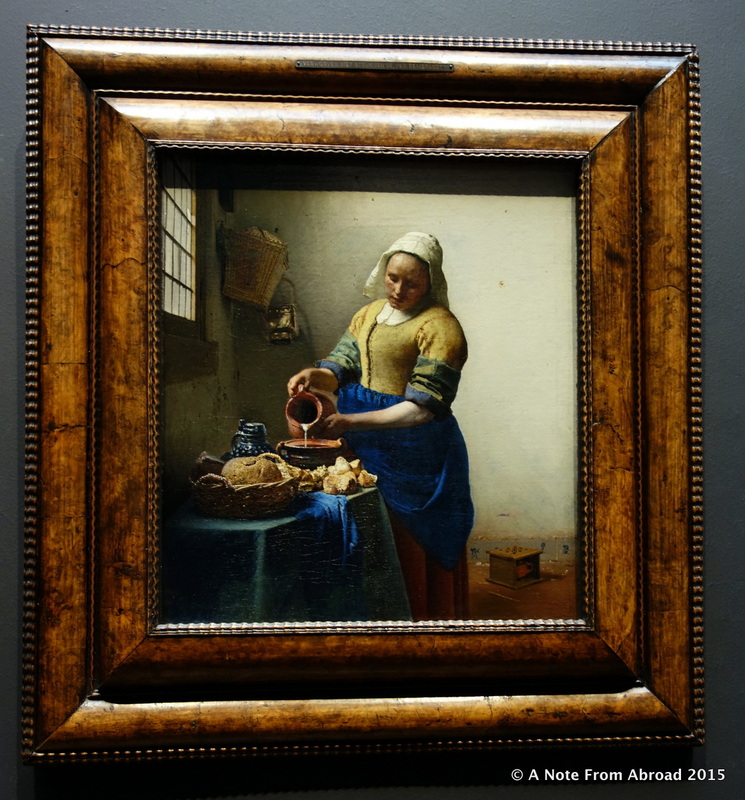 An enormous collection of work by Dutch masters including Rembrandt, Vermeer and a few more Van Gogh. But it is so much more than paintings. 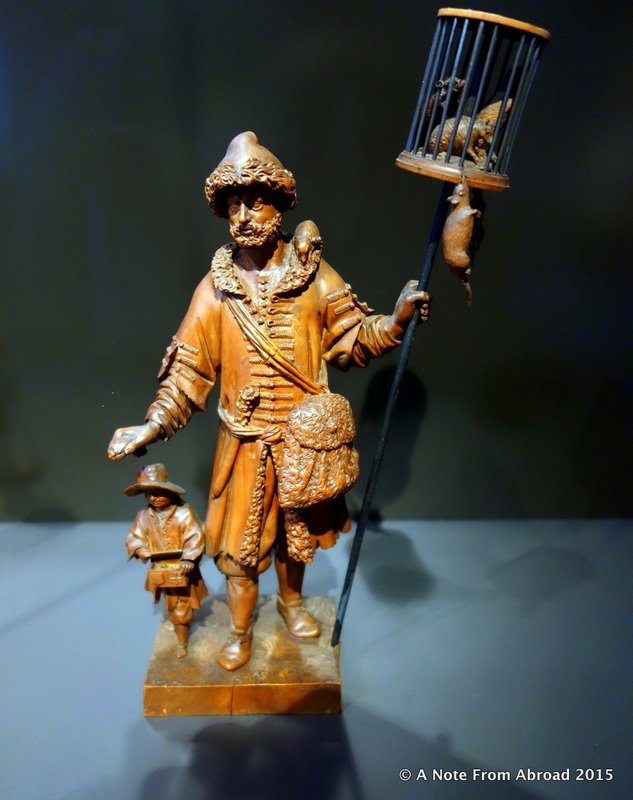 Also housed here are furnishings, sculpture, ceramics, jewelry, porcelain, ship models, doll houses, books and Delft pottery. Gratitude Moment: Today I am grateful to have crossed one more item off of my VERY long bucket list. 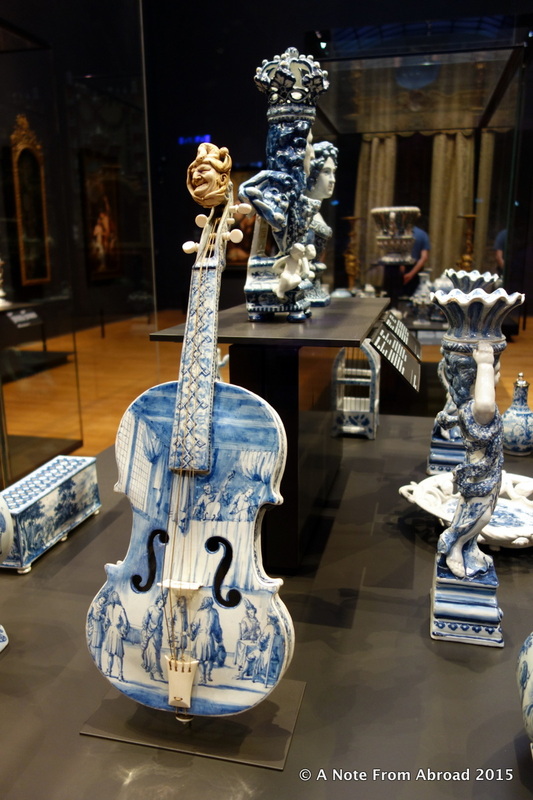 Seeing the Rijksmuseum was all I had hoped it would be. 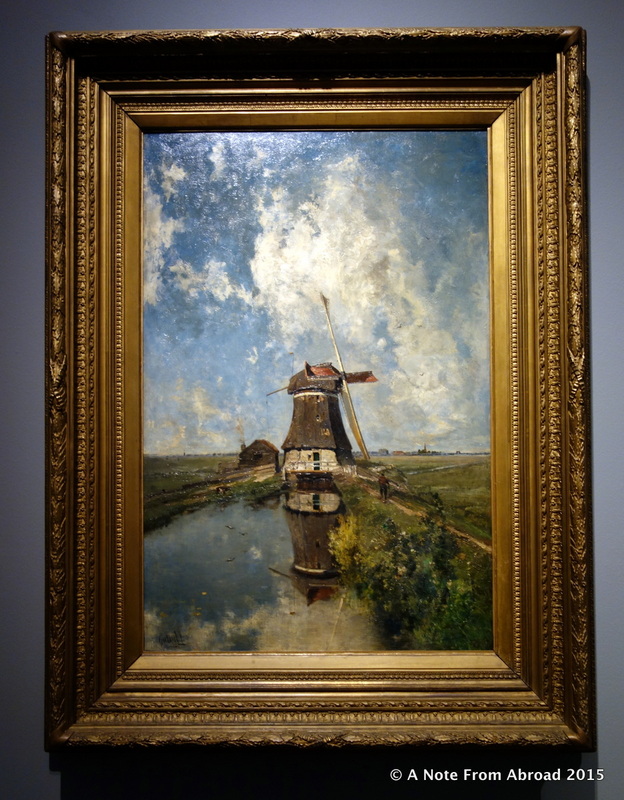 I was also surprised by how much I loved the Van Gogh Museum. A long time fan of his work, it still exceeded my expectations. For anyone who has made it all the way to the end of this post – WOW and a very hardy THANK YOU for your dedication! 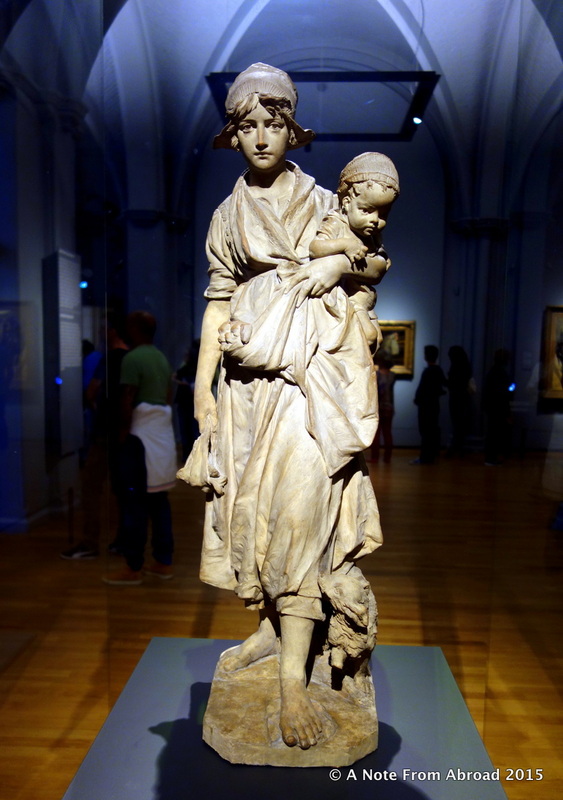 This entry was posted in Europe, The Netherlands and tagged Amsterdam, Europe, Museum, Photography, Rijksmuseum, Travel, Van Gogh. Bookmark the permalink. This is a wonderful set of photos, and a good introduction to the museums, too. Thank you! Both of the museums when combined were a bit overwhelming, but each one individually was top notch. I can highly recommend each of them. totally enjoyed this post!! thks & more power to ya!!! Great photos and post. 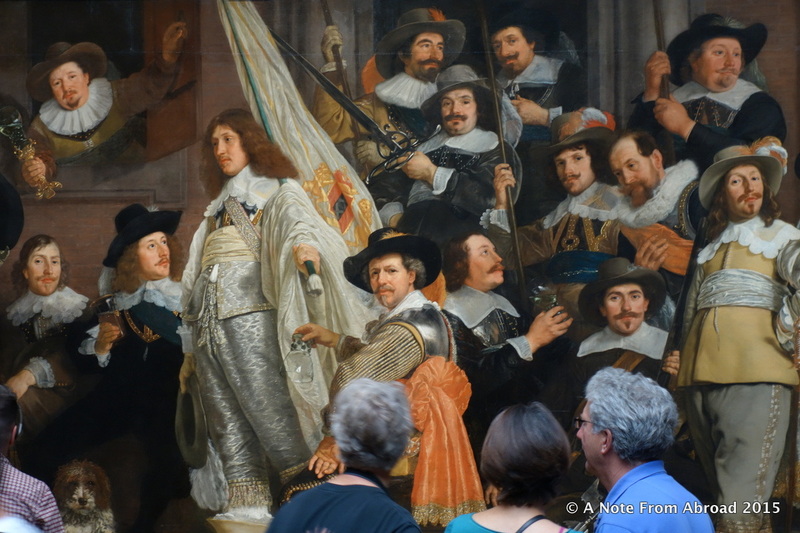 I especially enjoyed the photo of the Bartholomeus van der Helst painting and how the onlookers seemed to become part of the painting. Thanks, Tim took this one and I am always pleased and surprised by what he sees. We can both be shooting the same scene, but somehow manage to capture different and original images. Joanne and Tim, I’m ‘m sitting here imagining I’m there like you are, actually in the presence of these renowned masterpieces. There’s nothing like that feeling, in my opinion. Thanks for posting the art along with your writing. Enjoy! Mike, I know you are a huge Van Gogh fan. I would have loved to have you beside me as we visited there today. I know that seeing these amazing works of art through your eyes would have been very special indeed! I’ve long planned to obtain a few high quality Van Gogh prints for my residence, with his bedroom painting at the top of my list. Your showing it here is inspiring me to be sure to do it, Joanne. And thanks for your kind words above. By the way, you can also see Van Goghs and other clsssics at the Getty Museum in Los Angeles. It has a great setting too. Have you been? I commend it to all art lovers. Yes, we have been to both the Getty Museum and the Getty Villa (my personal favorite) several times. I also highly recommend both of them.